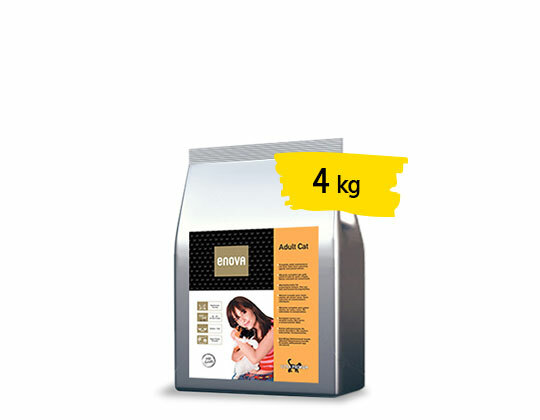 Complete dry food for kittens of all breeds and for pregnant and lactating queens. 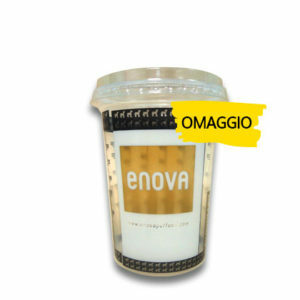 The added chicory plays an important regulatory role on intestinal function: rich in inulin, it acts as prebiotic, because it promotes the growth of beneficial enteric bacteria, reducing therefore the risk of onset of enteric troubles and diarrhoic events. 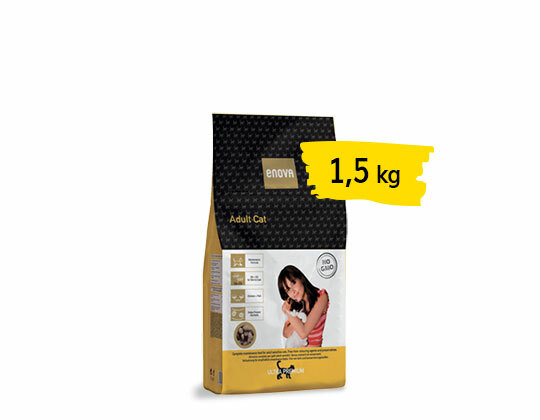 Thanks to its formula rich in protein & fat, ENOVA KITTEN is suitable also for pregnant & lactating queens, as well as in other occasions (anorexia, recovery from surgery etc.) in which cats show increased energy requirements. 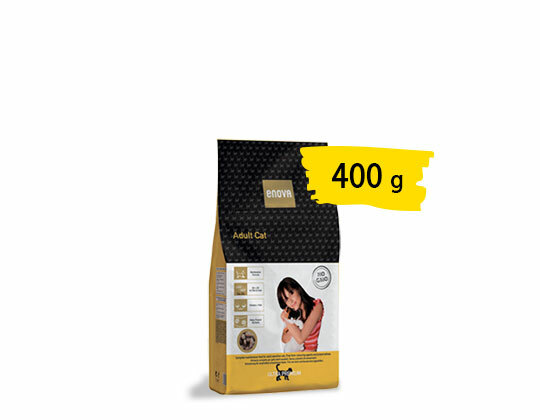 ENOVA KITTEN is the nutritional proposal of ENOVA for growing kittens. 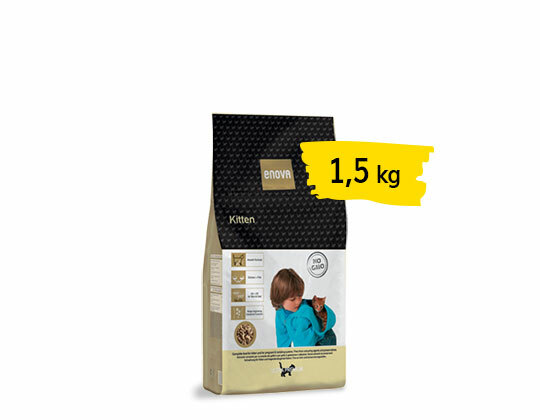 The combined inclusion of chicken, fish and eggs, ensures high palatability levels and, most important, a various and complete protein supply, a subject of great importance in the crucial growing phase. 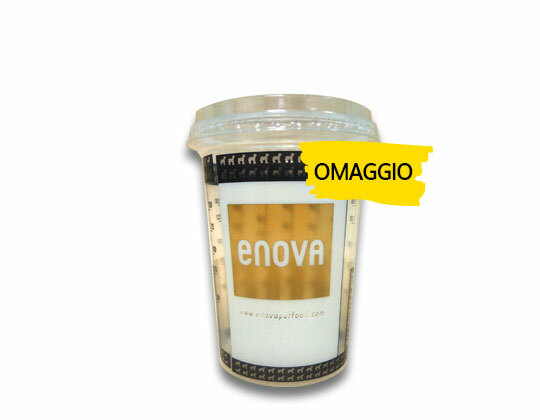 Very important is also to ensure a sufficient amount of Omega 6 & Omega 3 fatty acids: their beneficial effects include the improvement of the condition of skin & coat and the correct development of the central nervous system and sense organs.